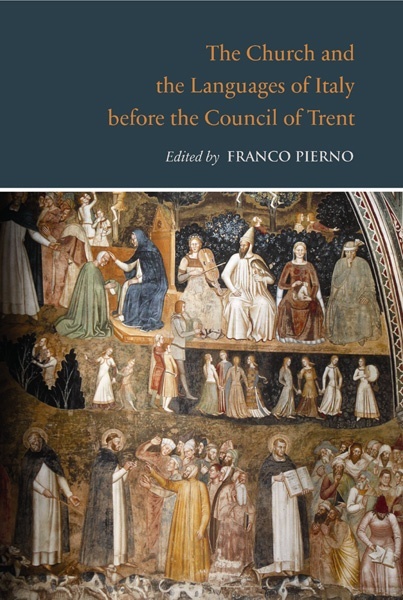 From a historical-linguistic point of view, and as Giovanni Pozzi reminds us, the vital communicative coherence created following the Council of Trent constitutes a fundamental step toward the formation of standard Italian. Through the restructuring of hierarchies and the standardization of clerical training, Tridentine reorganization in fact made the Church the primary vehicle for the vernacular by offering catechisms, by promoting linguistic pedagogies, and by bringing about an increase in popular preaching. The analysis of the relationship between language and religion in Italy in the pre-Tridentine period, however, suggests a more complex view. In the absence of true hierarchical and linguistic centralization, religious communication from the period appears extremely variegated, without apparent common denominators. A few recent studies have attempted to provide a clearer picture of the vast array of texts and languages at the service of the medieval Church. They have laid the foundation for a better understanding of what we may call, paraphrasing Fernand Braudel, “diverse forms of the duration”, structures and behaviours characteristic of historical continuity. In this volume, the most recognized specialists in the field and junior scholars have collectively produced a contribution that both deepens and ameliorates these initial attempts to rethink these crucial relationships between religion and language. While highlighting, as other studies have, the diversities of geolinguistics, of literary genres, and of registers that the ecclesiastical word could assume in medieval and early modern Italy, the essays in this volume additionally shed light on those constants and variables that, considered together, provide a systematic re-visioning of pre-Tridentine religious language.